This newly constructed 2-story executive suite building is centrally located at 95 & Jones just 15 minutes from the Las Vegas Strip. The center impresses with a stunning lobby featuring a custom chandelier and staircase. The lobby and meeting rooms are richly decorated in purples and golds with cherry wood accents. 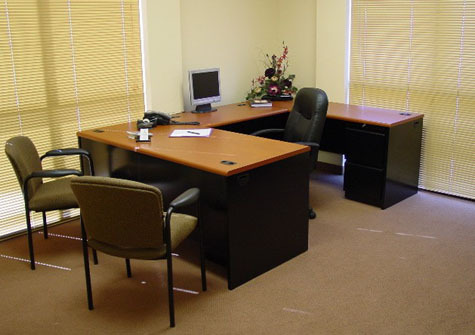 All offices are fully furnished with 1 or 2 workstations. Office pricing includes the furniture, a T-1 Internet connection, a phone set with 2 rolloever lines and voicemail at each workstation. The building is 100% ADA compliant with elevator access to the 2nd floor and ample parking close to the building. Area amenities include a weekly car mini-detailing service at the complex, nearby restaurants, hotels, banks and The Meadows shopping mall. --All offices furnished with 1 or 2 workstations. --Office pricing includes the furniture, T-1 Internet, Phone set & Voicemail.-- Access to Executive Boardroom that seats 12-14 people. --Small Conference Room that seats 4-6 and a Day Office. 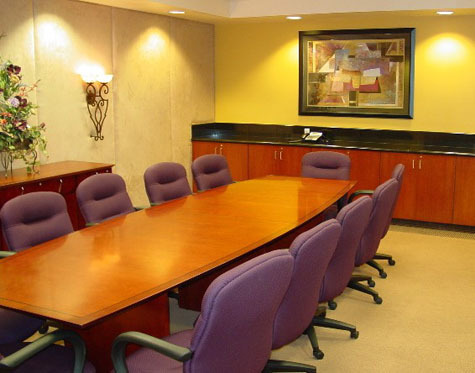 --Free usage of meeting rooms after hours for all full-time office clients. --Part-time vitual office programs available (mail & telephone answering services). --Kitchen featuring refrigerator, microwave, dishwasher and vending machines. --Free coffee, tea & hot chocolate for you and your guests. --Lobby Directory listing. --Comprehensive, full-feature telephone system & customized voicemail. --Ample parking close to the building. --100% ADA compliant with elevator access to 2nd floor. --Janitorial services included. --Office maintenance and utilities included. --Professionally trained receptionist to greet your guests. --On-site management. 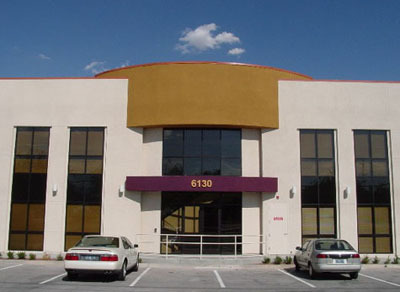 --Access to high speed copier, color printing and binding services. --Secretarial & catering services available. --Access to on-site professional website designer and marketing specialist to assist your business with website design, logo designs, printing of business cards, stationery and oher marketing materials. --Fax & modem lines. --Offsite call patching, pager notification and personalized telephone answering. --Extra T-1/Phone jacks in each office to accommodate your expansion needs.